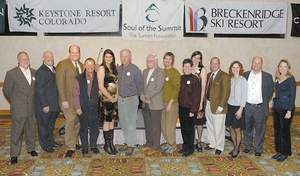 Established in 1984, The Summit Foundation is a non-profit community foundation dedicated to improving the quality of life for residents and guests of Summit County and Neighboring Communities. The Summit Foundation is recognized as the leading philanthropic organization for Summit County and its neighbors. We are committed to creating ever better mountain communities by providing leadership and working across all boundaries. The Summit Foundation builds a culture of caring and giving by providing leadership and facilitation to create a community of donors who through their gifts, wisdom and work will establish a lasting legacy of generosity to support community organizations that foster Health & Human Service, Education, Art & Culture, Sports & Recreation and Environmental Stewardship.